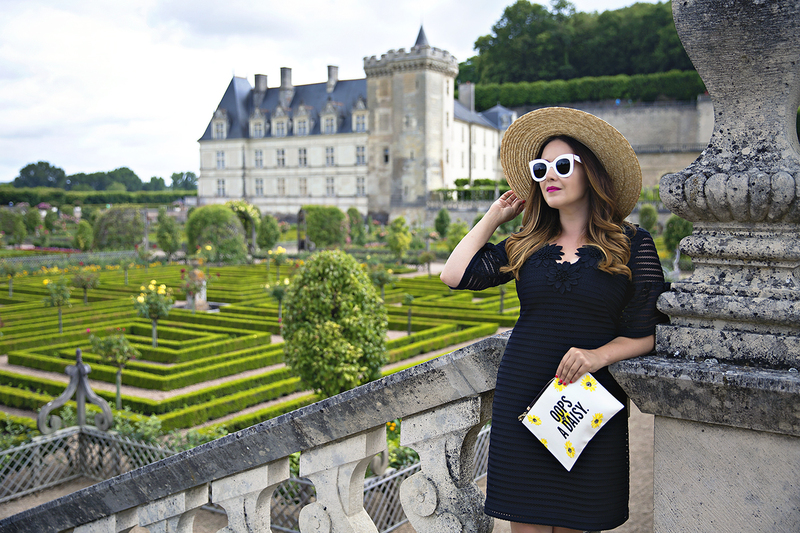 For our second day of chateau hopping, Emily and I headed to Villandry, Chenonceau, and Amboise. If I had to pick a day, I preferred this day of chateaus slightly over the first (you can read about our first day of chateau hopping here). Don't get me wrong, all were gorgeous and interesting, but Villandry and Chenonceau were really stunning. 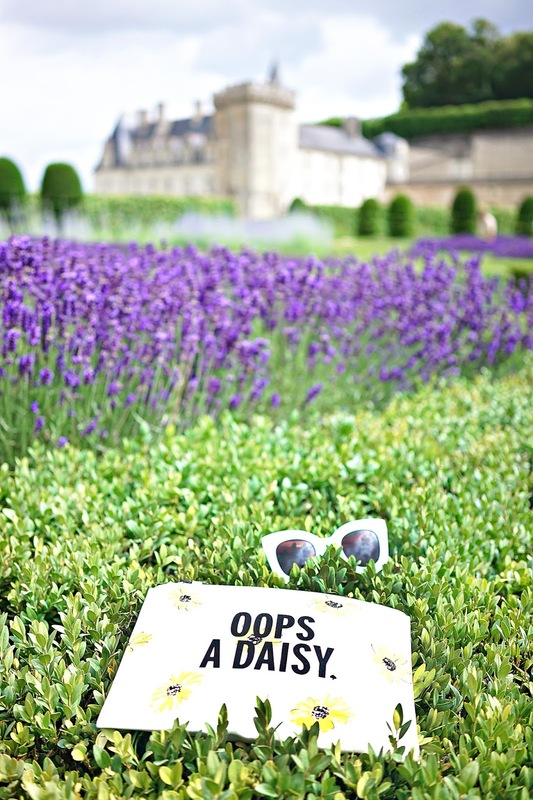 We began our day exploring the incredible gardens of Villandry. While the chateau itself is beautiful, it's the gardens that take center stage at Villandry. 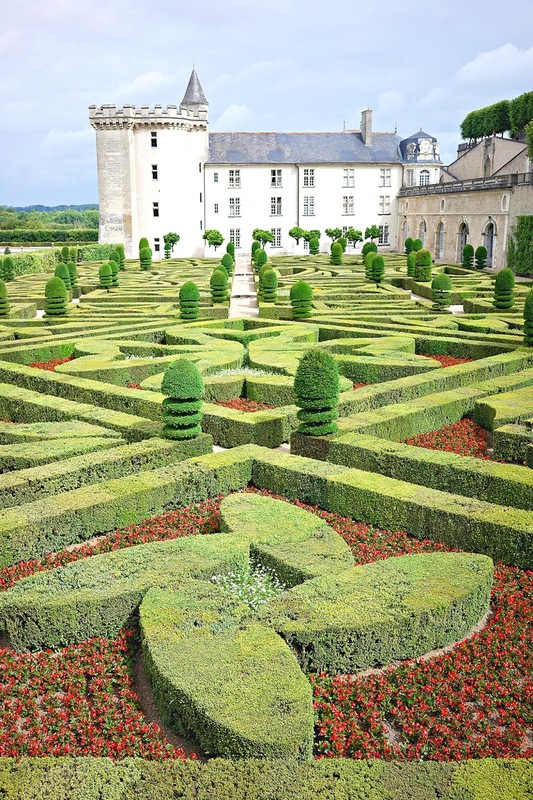 The art of gardening and the formal Renaissance garden were brought to France from Italy during the 16th century. The gardens you see today are a careful early-20th century recreation of the original Renaissance gardens. From Villandry we headed to our next stop, Chenonceau. 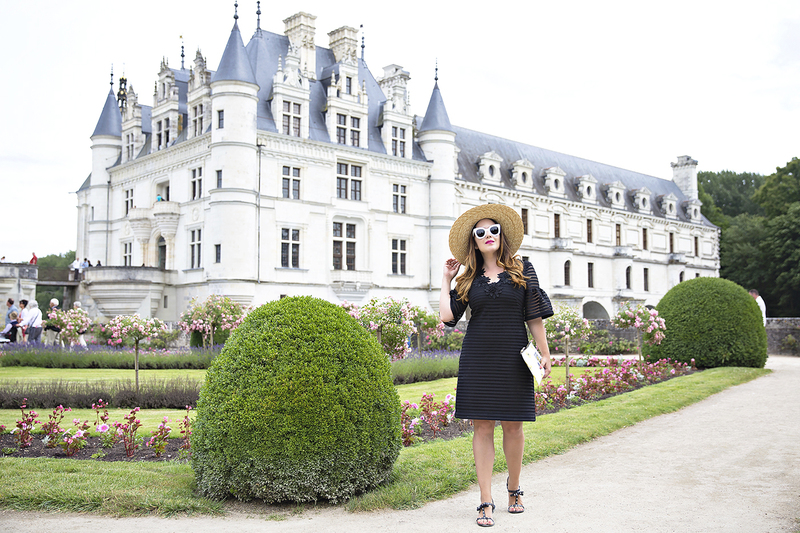 I am not sure why I was not more excited for Chenonceau, but the estate really surprised me and it turned out to be my favorite of the entire trip. Not only was the architecture stunning, but it had a pink rose garden, formal renaissance gardens, and a fascinating female-centered history. 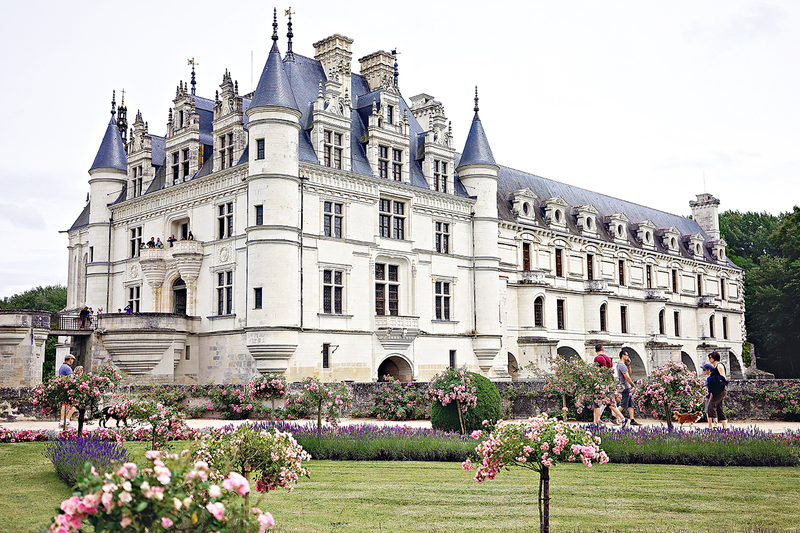 For most of its history, Chenonceau was home to some pretty remarkable, and formidable, women. It began with the original builder who was the Chamberlain to King Charles VIII in the early 16th century. Most of the construction was actually overseen by his wife, Katherine, who loved to host and entertain the French court. In 1535 the chateau became property of the crown and King Henry II gave the estate to his powerful mistress Diane de Poitiers (if you watch Reign this should ring a bell). Diane loved the estate and expanded the gardens and agricultural production of the estate. When Henry II died unexpectedly, his wife, and Queen of France, Catherine de Medici, seized the opportunity to get rid of Diane and confiscate the estate. 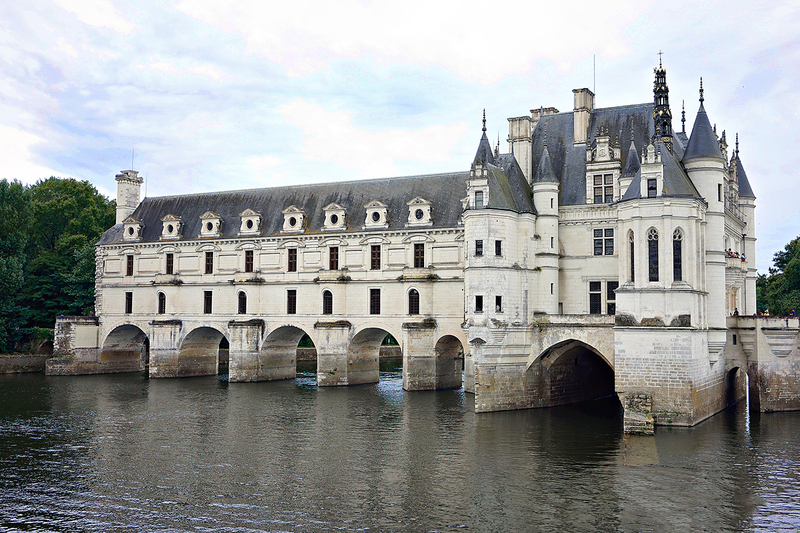 Like Diane, Catherine loved Chenonceau and expanded the structure of the chateau across the river. As regent, Catherine became one of the most powerful people, let alone woman, in France. After Catherine died, the chateau passed to her daughter-in-law, Louise de Lorraine. It was at the chateau that Louise learned of her husbands assassination. She painted her rooms black and spent the rest of her days enclosed in the estate wandering aimlessly in a state of mourning. Almost 100 years later, the estate would once again belong to a powerful women. This time it was educated and inquisitive Louise Dupin. She turned Chenonceau into an Enlightenment literary salon that hosted the likes of Montesquieu and Voltaire. Louise also single-handedly saved the chateau from destruction during the French Revolution. 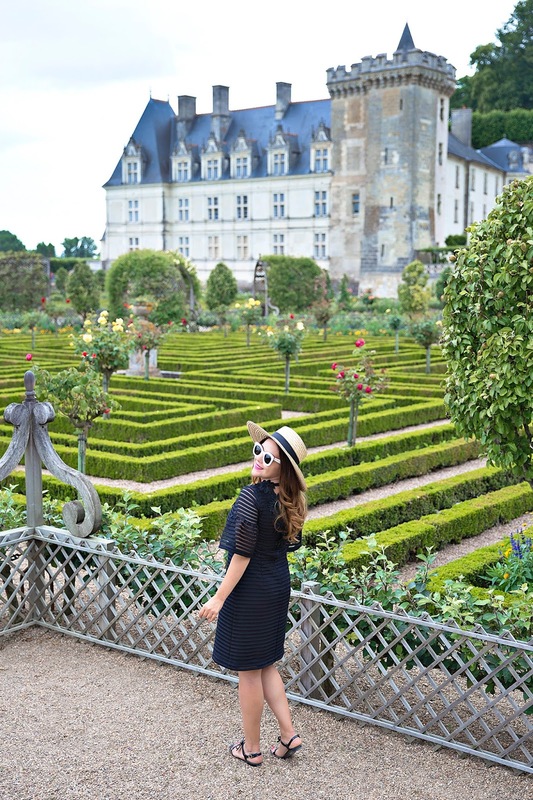 Both Emily and I loved Chenonceau so much we spent much of our day there. 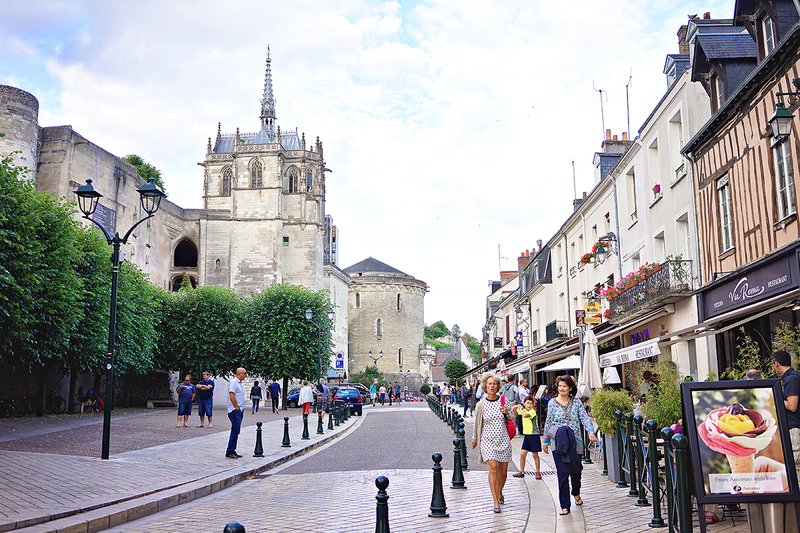 Eventually we realized that we had to leave if we wanted to make our last stop, Amboise. 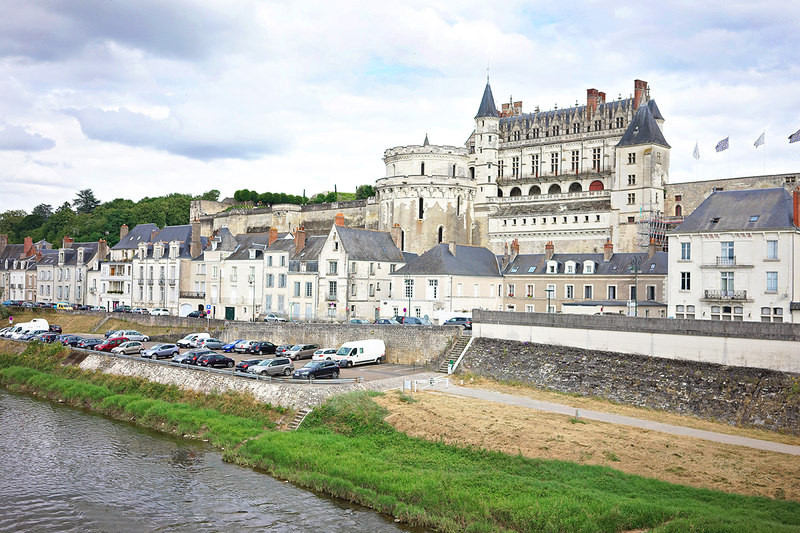 Amboise, like Blois, was one of the main royal residences. In fact, it was where Henry II and Catherine de Medici raised their son (and future king) Francis and his betrothed, Mary Queen of Scotts. It was also where Leonardo da Vinci spent his final years and where he remains buried today. Unfortunately, because Amboise was a very functional royal residence, the fortifications make it more enclosed and much less picturesque. All in all it was another fabulous day of chateau hopping. A girl could really get used to chateau life!